One of the biggest conundrums in the financial world is this: Survey after survey shows that women lack confidence when it comes to investing and retirement planning. Yet if you look at the actual results, women often perform better than men. Caryn Effron has seen this first-hand. A long-time real estate professional, she was motivated to start the website GoGirl Finance after witnessing a discussion between her college-aged son and daughter, and their friends. The lunchtime chat was a vibrant exchange among all participants. That is, until the topic changed to stocks and investing. Then the young women went silent. "Ninety percent of the time women don't participate [in financial discussions]. This is crazy in this day and age," says Effron, who launched her site in 2009 to encourage women to take charge of their finances. Women invest wisely: The evidence shows that women are far wiser at investing than they realize. 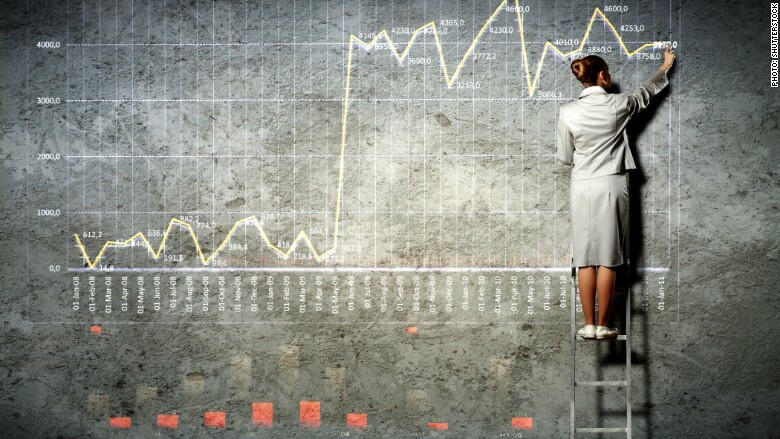 Terrance Odean, a professor at Berkeley's Haas School of Business who has spent his career studying investor trends, found that men traded 45% more than women in the 1990s. He blamed it on male overconfidence. Women are also less likely to engage in risky day trading or put their retirement funds entirely in stocks, according to Fidelity's data. They diversify their portfolios better across stocks, bonds and other investments. Over the past decade, the median returns for both men and women are 7.3% to 7.4%, according to Fidelity data. But women's portfolios are much lower risk. In the investing world, that's ideal -- get the highest return by taking on the least amount of risk. 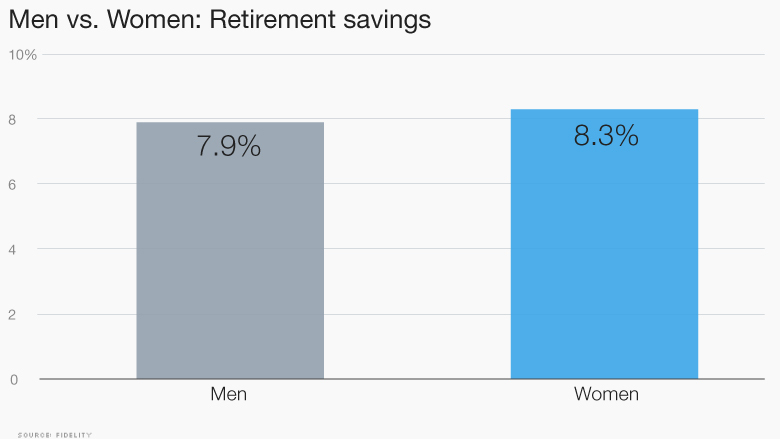 Women can end up with more: Kathy Murphy, president of Fidelity Personal Investing, is quick to point out that women save more than men on average and their investment portfolios perform as well if not better than men's. "Despite all the progress women have made in the workforce and otherwise, they still have an unwarranted confidence gap about their ability to engage in financial planning," says Murphy of Fidelity. It's telling that 77% of women report they are confident discussing their health with a doctor on their own, yet less than half feel the same confidence when talking about money and investments with a professional. "Frankly ... it's just not that hard," Murphy emphasizes. This isn't just about gender equality, it's common sense given the shifting dynamics of American households.